Posted on July 24, 2014 July 28, 2014 by JumpKing Trampolines, U.S.
Trampoline and Tumbling are not just one of the best fun activities for kids; it has now become one of the best professional gymnastics all over the world. Following the great enthusiasm for trampoline and tumbling gymnastics in the U.K, highly professional gymnasts from the U.S have won many championships and medals from all around the Globe and now there are countless trampoline parks and institutes dedicated to provide expert trampoline training and platform. 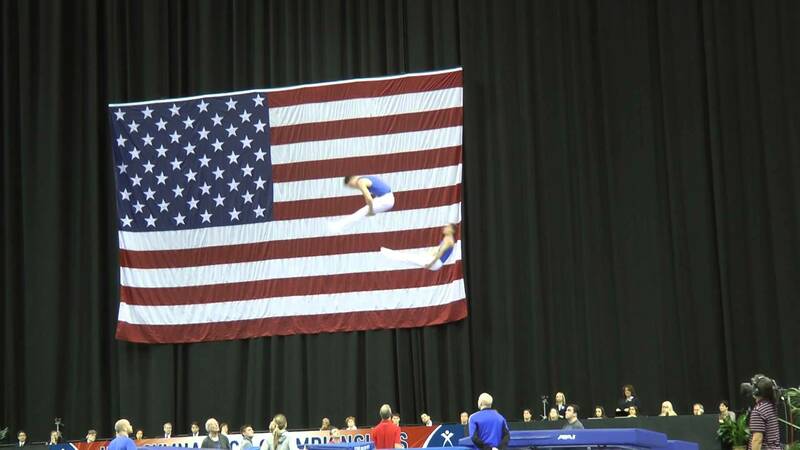 While we critically focus on its evolution in the U.S, the USA Gymnastics Trampoline and Tumbling Championship is continually contributing a lot of efforts in planning and organizing these exciting championship in the United States. Based on the greatest interest and passion, trampoline fans recently attended the 2014 USA Gymnastics Trampoline and Tumbling event this month where the best gymnasts participated in the contest while astounding their fans with incredible passion and skills they have mastered in trampoline and tumbling. Apart from the USA Gymnastics Trampoline and Tumbling Championships there are many other contests as well held on local and institutional levels throughout the United States. It is evident that trampoline and tumbling institutes have gained significant fame based on the huge demand by beginners seeking the best trampoline institute in the USA and it seems like there are many more talented gymnasts will arrive in the coming years.